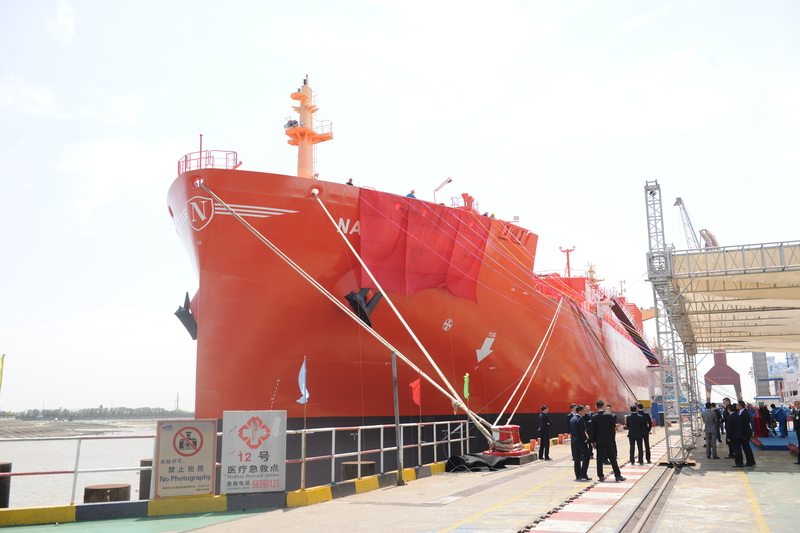 The first of the four Navigator Gas ethane/ ethylene midsize vessels, Navigator Aurora, was delivered at Jiangnan Shipyard in Shanghai on August 2, 2016. With a length of 180 m, the newly-built vessel Navigator Aurora has a carrying capacity of 37,300 cbm, enabling the vessel to hold up to 20,000 tonnes of ethane/ethylene, making it the largest ethane/ethylene-capable vessel serving the global market. This state of the art vessel has been chartered for a minimum of 10 years to the European chemical group Borealis for the transport of ethane from the U.S. East Coast to Europe, with commercial operations scheduled to begin in the fourth quarter of 2016. What also makes this vessel special is that her propulsion and electrical systems are designed to use LNG or methane as fuel in addition to the normal heavy fuel and marine gas oil. The main engine is the most fuel efficient 2-stroke engine on the market designed with a high pressure gas injection system. This selection of engine and fuel gas system allow the ship to be extremely fuel efficient both when using normal fuels as well as when using LNG. We are also very well advanced in the process of adopting the main engines and software to allow the ship to burn Ethane (C2) as a third fuel alternative. 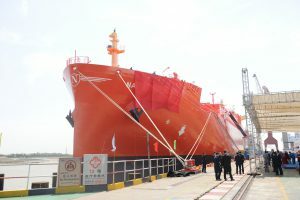 This will allow even greater economies for our customers as there is a choice of also using cargo as fuel when carrying ethane, which has only been possible on a few number of vessels in the past. We send our best wishes and thanks to the yard, site team and first crew on board the Navigator Aurora for all their efforts, hard work and diligence upholding our very high standards during construction of this ship.